This week the band take to the road for a series of dates across Italy, their first since a UK tour in 2018. 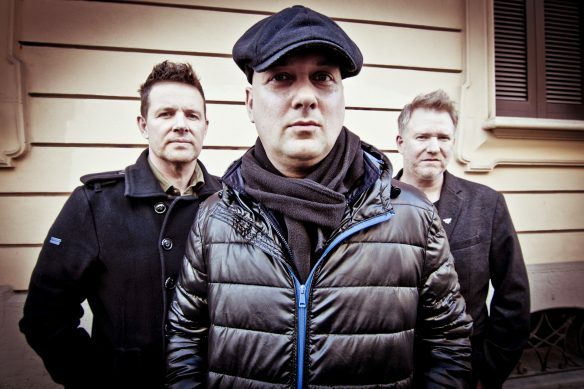 ShadowParty are a band united by a fairly unusual circumstance, each member is a latter-day addition to a huge band. The nucleus of the group formed when Josh Hager and Tom Chapman met in Boston, Massachusetts. Josh is a former member of The Rentals and currently plays guitar and keyboards in Devo. Tom Chapman is the former bass player of Bad Lieutenant who followed frontman Bernard Sumner to New Order in 2011 when the band reunited for a series of charity gigs. Completing the group are Phil Cunningham, Marion founder member and New Order’s guitarist since 2001, and drummer Jeff Friedl, who plays for Devo. Now signed to Mute, ShadowParty’s debut – recorded in Boston, LA, Manchester and, of course, Macclesfield – is an album that nods to those groups but exists in its own right entirely, an indie electro album with guitars and strings, and guests including the incomparable vocalist Denise Johnson (Primal Scream, A Certain Ratio) and The Verve’s revered guitarist Nick McCabe. It’s the sound of a blast. 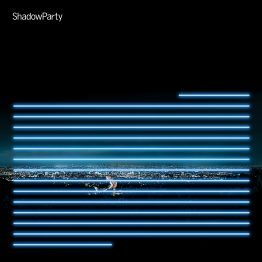 ShadowParty burst through your speakers; pulsing electronics get swept away with lush orchestrations, bold beats carved up by haunting guitars and vocals tower through each moment, whispering sweet harmonies and unspoken despair.